Manila, Philippines - It was a stiff competition for Team Sarah in the much-awaited episode of 'The Voice Kids' Philippines on Sunday, July 13, 2014 as the Popstar Princess made a tough decision in picking her Final 2 artists for the live semi-finals on July 19. Team Sarah's young artists Darren Espanto ("Listen") and Lyca Gairanod ("Dance with My Father") were chosen to advance in the Live shows. Coach Sarah and Lea were very impressed to the 12-year old 'The Next Star' Finalist in Canada. 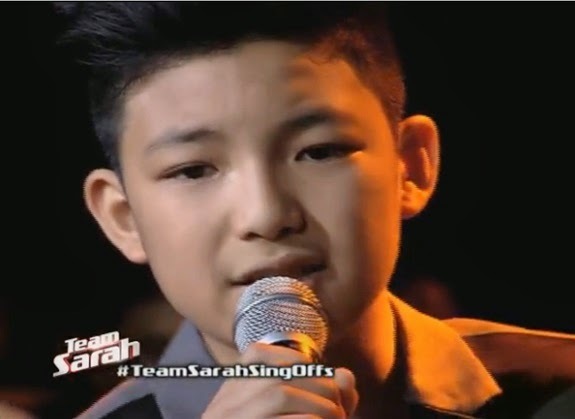 "Kahit ano mangyari, manalo o matalo ka dito sa The Voice, ready ka na," Coach Sarah said to Darren. 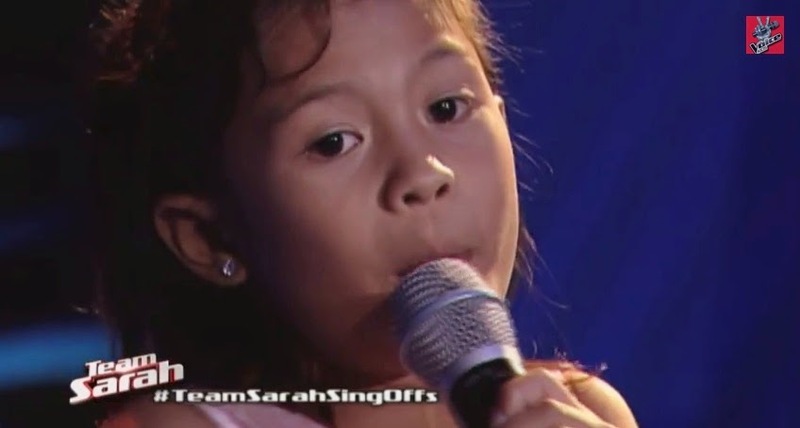 Meanwhile, the 9-year old kid from Tanza, Cavite drew comparisons to critically acclaimed actress and recording artist Nora Aunor after her performance on "The Voice Kids" on Saturday. She continued to impress the judges on Sing-offs as she gave a soulful rendition of "Dance with My Father" Tagalog version. Other artists who advanced to the Sing-offs were Gab Gomez ("American Boy"), Kyle Bernido ("No Air"), Earl Consolacion ("Ikaw") and Diana Agustin ("Natutulog Ba Ang Diyos"). Unlike the Battles where the coach picks for the song they are going to sing, in the Sing-off the decision is solely been doneby the artists. The episode of The Battles on Sunday tops online conversations with '#TeamSarahBattles', '#TeamSarahSingOffs', 'American Boy', 'Go Gab', 'No Air', 'Earl and Lyca', 'Dance with my Father' and 'Go Earl' among the trending topics.